Having your commercial HVAC systems regularly maintained is essential to your office’s level of comfort. If your systems aren’t running to the best of their abilities, it could be consuming more energy than necessary and not providing the comfort you count on. Maintaining your office’s HVAC systems is just as important as keeping up with maintenance on your automobile. Air Builders LLC can make sure your office AC unit and other HVAC systems continue to run smooth and efficient. 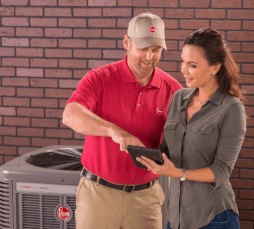 Air Builders LLC provides commercial service, maintenance, and new system installation.